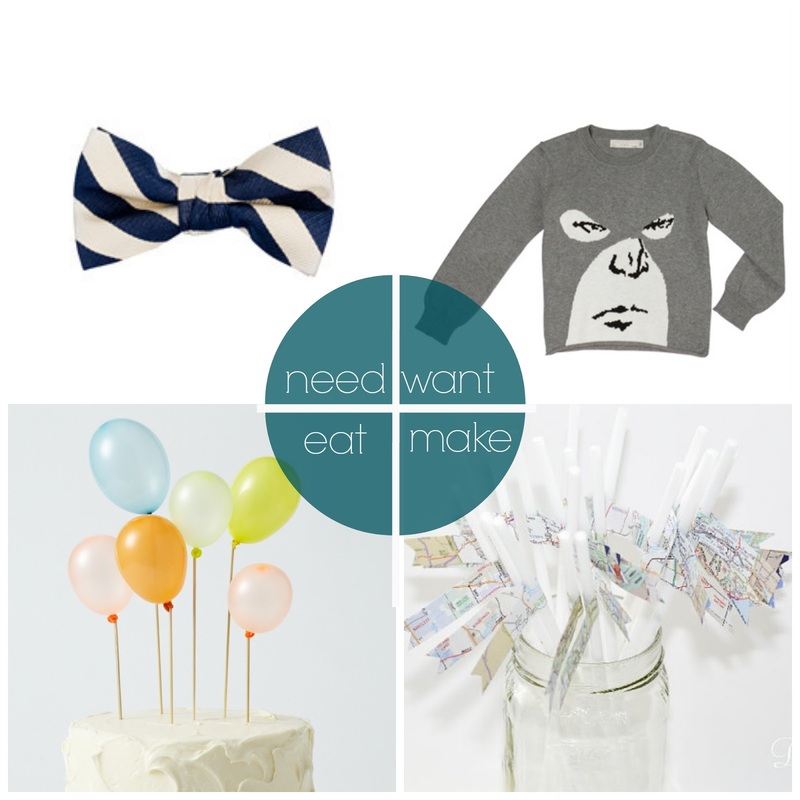 Fancy Napkin: .need, want, eat, make: jack's almost 1. .need, want, eat, make: jack's almost 1.
our little jack bugg is about to turn one. all i can think is damn, where has the time gone? i am literally knee deep in party decor at the moment, planning his first birthday, and just had to sit back and take a few minutes to reflect on the past year. gosh, it's been wonderful. and busy. and emotional. and full of growth. and full of love. and full of exhaustion, but just so so so amazing. as my good friend, who is a fresh new mother herself, texted me the other day "this is better and harder than i ever imagined" and i just couldn't agree more. so back to turning one. gosh darn it. my little boy is getting big and old. and planning a party is waaay up my alley, so i won't complain much ;), but here's a little that needs to be done. need || every birthday boy needs a bowtie. that's fact. want || this superhero sweater is just plain awesome. and that's a fact too! eat || i love this balloon cake so much. simple, fun and looks delicious. all wins in my book. .simply put but not simply meant, thank you. .jack's nursery: wood bookcase diy. .threads: wedding lace and a peplum. .family photos - jessica leigh photography.